Over the last few years I have attended several “introduction to wargaming” courses intended for professional audiences, including sessions at Connections US, Connections UK, MORS, and elsewhere. Based on that experience I thought it might be useful to offer some thoughts on best and not-so-best practices. These comments should certainly NOT be seen as criticism of any particular presentation, session, course, or organization. Instead they are intended as a contribution to more effectively introducing neophyte wargamers to the art and science of professional national security gaming. Moreover, these are just one perspective. I strongly encourage others to add their own thoughts in the comments section below! Clear and central emphasis on establishing and clarifying the purposes of a game. Unlike hobby gaming, professional gaming isn’t undertaken for its own purposes. Rather, it is undertaken to address a problem (whether it is a set of research or planning questions, or to offer experiential practice, or to meet particular training and educational objectives). We also need to be clear that a game is not always the best approach to a problem. Professional gaming has to be underpinned by a willingness to acknowledge our limitations, and push back against clients and sponsors who may want precooked results. Address potential intellectual baggage. Those new to professional gaming often come with some preconceptions that need to be explicitly or implicitly addressed. There may be doubts as to its utility—or, perhaps, uncritical enthusiasm. Participants may be to strong an attachment to their own prior gaming experience. Modelling and simulations folks, or those with a background in digital gaming, may be inclined to want to see computers everywhere. Those whose only experience of professional wargaming in the military is that of seminar games or complex kinetic models may view anything different as rather dubious. Hobby gamers may assume that a manual, map-hex-and-unit-counters approach trumps all else, or may otherwise emphasize the “game” part over the instructional or analytical purpose. Encourage a “toolset” approach to gaming. There is no single way to wargame. Rather, the gaming tools that are (or are not) utilized should depend on purpose and resources (time, participants, space, materials). There are also all sorts of hybrid possibilities, where game mechanics are used in conjunction with other discussion or analysis approaches. Attention to the intangibles. 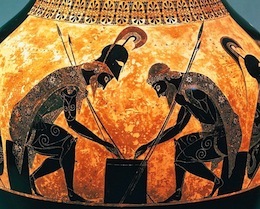 In addition to methodology and science, be sure to examine topics such as narrative engagement, player dynamics, social engineering of teams and participants, and all the other “art” of wargaming. Attention to wargame analysis and integration. How will game outputs be recorded, assessed, and analyzed? Beyond this, how does the game fit into the broader (analytical or educational) process, and how can this be fostered? Participants need to understand that professional gaming is almost always part of a much bigger picture. Identification of useful dos, don’ts, and handy approaches for dealing with common problems, challenges, and obstacles. It is often very helpful to hear how other professional gamers have dealt with similar problems, especially if this is presented in such a way as to enable general lessons to be drawn. Lively but clearly-structured lecture style, mixing some periods of sustained presentation with opportunities for questions, discussions, and breakout activities. It should be noted that just as not all good lecturers are good game designers, not all experienced wargamers are great lecturers. Make sure any sample or demonstration game is relevant to the instructional purpose. Games can be fun, but enjoyment does not necessarily correlate with learning outcomes. 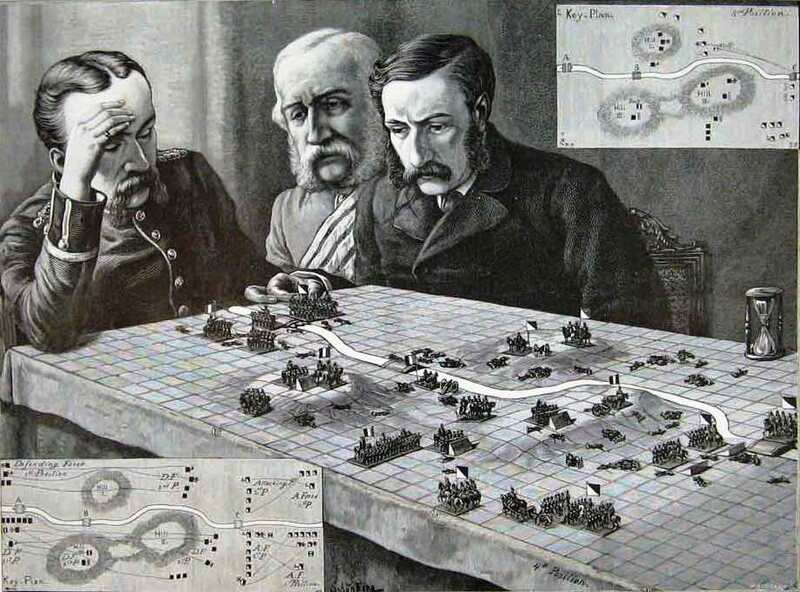 If you’re teaching analysts about how to analyze a wargame, choose a wargame that is simple, not-to-“gamey” in its mechanisms, and clearly illustrates the value of opposed play and subsequent assessment. Suboptimal mix of experienced and neophyte gamers. While new gamers will undoubtedly benefit from hearing the comments and ideas of more experienced gamers, an “introductory” course that is too full of experienced wargamers may deter newbies from asking questions, or may be too easily diverted into complex issues or reminiscing over old “war” (game) stories. Meandering. Experienced participants can pick the gems out of a stream-of-consciousness presentation. New learners will have a much more difficult time doing so. Short anecdotes are useful if the illustrate key points, but otherwise can be distraction—no matter how amusing. Lecturers aren’t the only ones who meander: attendee comments can throw a presentation off course too if instructors aren’t careful. Bad powerpoint. There is now growing evidence that poorly-designed powerpoint has adverse cognitive and learning effects. Powerpoint should not be filled with bullet points, dense text, a plethora of boxes and columns, frequent illustrative cartoons, and so forth. It should clearly summarize key points in a logical order, present key definitions, and display graphic data (charts, pictures of things that have to be seen). Reusing old presentations. Only do this if the previous presentation was focused on the topic you need for teaching. Otherwise, design a fresh presentation for the specific educational purpose. Too many references to hobby games, and frequent reminiscing the grand old days of Avalon Hill and SPI. This tendency has several interrelated problems. It excludes non-hobby gamers who have no idea what the presenter is talking about. It also places excess weight on hex-and-CRT wargaming, which is only one of many possible gaming tools and approaches in a professional gaming toolkit. While there is no doubt that hobby wargaming has a great many strengths, it also risks becoming something of a guild that stifles rather than promotes gaming innovation. I’m sorry, but this doesn’t hold a candle to the wargame we do in CGSOC. Stop by one day to see. I’m not sure what you mean, Chris. The article doesn’t describe any particular wargame, or seek to compare whose wargame is better than whose. Rather, it outlines some observations on teaching practitioners *how* to design and implement wargames for professional purposes..
Yeah sorry. I didn’t think my comment would show up on the comments thread. I thought I was sending the article to someone. Anyway, you are correct, the article does not specifically address any particular game. I would also like to clarify that what I was referring to was not a CGSOC wargame, but rather one I designed and use in the classes I teach. The article is a good article and is certainly applicable and useful to anyone running games in a classroom.